» “Because of the kind of greed ingrained in us, nothing will be left” – An interview with journalist Kamal Shukla. Part 2. “Because of the kind of greed ingrained in us, nothing will be left” – An interview with journalist Kamal Shukla. Part 2. Kamal Shukla is a Bastar based journalist. He is the editor of ‘Bhumkal Samachar’ newspaper, published from Kanker. 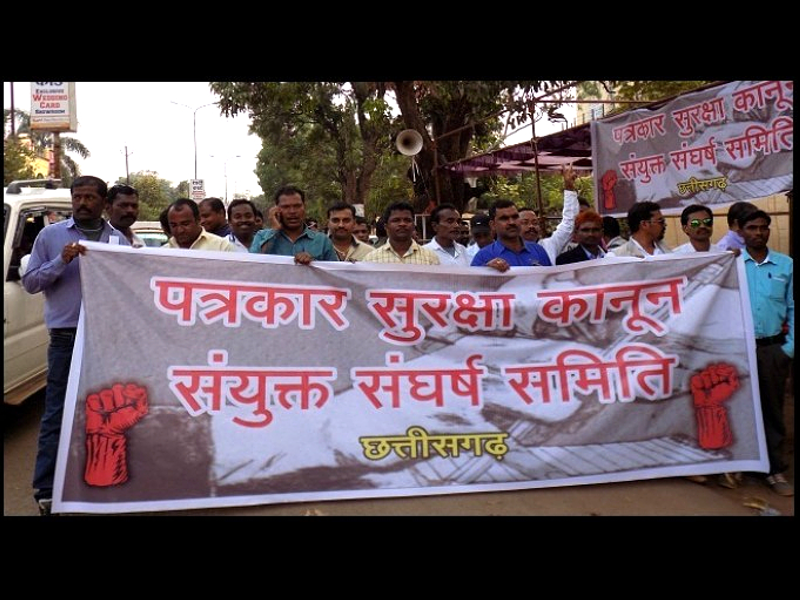 Shukla also writes for several local and national news portals, and heads an organisation – the Patrakar Suraksha Kanoon Sanyukt Sangharsh Samiti – which seeks a law to protect journalists in the Bastar region. Shukla was recently charged by Chattisgarh police with sedition under Section 124A of Indian Penal Code for sharing a cartoon on Facebook that allegedly made derogatory references to the judiciary and the government. 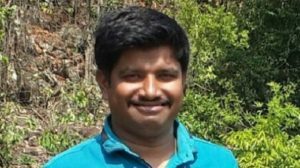 groundXero talked to Kamal Shukla about the situation in Bastar, and the state of journalism there. The original interview was conducted in Hindi. This is part two. You can read part one of the interview here. gX: Last we talked about the service sector such as health, education, etc. What about the tendu leaves economy of Bastar? gX: Who are the people controlling the business of tendu leaves? KS: The business is controlled largely by big capital from Andhra. I too have noticed that in Maoist areas, where vehicles carrying material for construction of roads or for mining have been burnt, vehicles carrying tendu leaves were always left unharmed. But the police, instead of arresting the big people associated with the trade, are targeting small people such as the munshi, or workers connected to the local dealer. We might soon be told that the Maoists have led to closing down of the business. The policy related to tendu leaves in Chhattisgarh is completely flawed. And, if any redress should happen, it should begin by giving the gram sabhas and the people the control of the business. gX: Let’s get back to journalism in Bastar, if we may. KS: From my 30 years of experience of working in Bastar, I can say that the situation of journalism in Bastar is no different from the condition of journalism anywhere else in the country. Bastar does not have a big city or urban population, journalism there happens in the same way as it happens in other villages and small towns in the country. Journalism in Bastar is controlled from Raipur, and those people have reduced Bastar’s news to screaming headlines on ‘big encounters’ by the Maoists or the police. In Jagdalpur town there would be hardly 25 salaried journalists, with salaries not even enough to run their families. 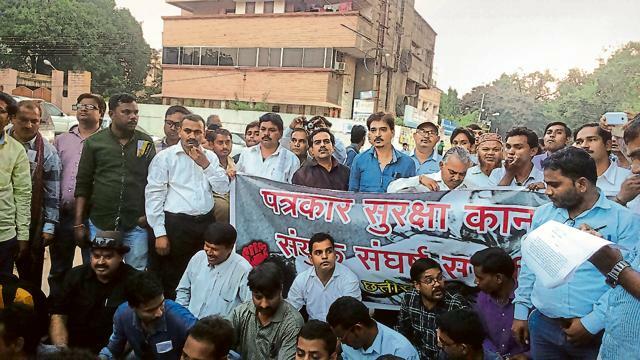 In the remaining districts – Dantewada, Bijapur, Konta, Sukma, Narayanpur, Kondagaon and Kanker – there are no more than 2-3 salaried journalists. They have an ‘agency system’ for journalists; where amongst other things, the journalists are also responsible for selling newspapers. Otherwise there are great reporters in Bastar, but their reports will never make headlines. However, even amongst these sincere journalists, there have been only 2 to 3 adivasi journalists now in the last 3-4 years – people like Mangal Kunjam, Lingaram. And such people are unable to work, as there is no platform. It has been 5-6 years that no Hindi newspaper is ready to work with me too. Most of the other journalists are from the exploitative class families so you cannot expect them to tell the stories of the adivasi or talk of the issues of the advasi. These are people from families of big contractors and big suppliers, and it is not possible for them to deal with the issues of the adivasis. Secondly, Hindi newspapers historically have never considered issues of adivasis to be important anyway. If we leave aside some exceptions like Sushil Sharma, by and large, the adivasis have remained absent from Hindi news coverage. Doing good journalism – talking about issues of the adivasi, talking about the real war that is going on in Bastar, and exposing the policies of the government – means you will be kicked out of your media organization. gX: Ok. But could you tell us a little more detail about the economics of media industry there? How does the money flow? How does ‘corruption’ work in all this? KS: The main thing is, the big newspapers and media channels of Chhattisgarh are controlled by money from the mining industry. For instance, the owners of HariBhumi also own coal mines. The owners of Dainik Bhaskar run their own coal mines and power plant. So the bulk of the money comes from the mining and power sector. On top of that, if you choose to work as a reporter for these organizations, you typically will have to raise advertisements worth Rs. 50,000 to Rs. 1,00,000 per month. And if you are to get these ads, you do not write against government officials, big contractors or suppliers. There is a huge amount of corruption that is going on. The Congress, BJP and even the Maoists in a way are together in this. Corruption has never been an issue for the Maoists. 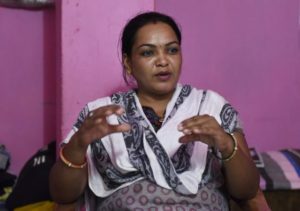 The Government’s allegation that the Maoists are getting their funds from tendu leaves is incorrect. The current Government knows it. The undivided Madhya Pradesh Government knew about it too. But it is true that the road that costs Rs. 1 crore in the plains area, costs Rs. 4 crore when constructed in a ‘Maoist area’. Even the Raman Singh government knows that the road contractor is paying Rs. 1 to 2 crores to the Maoists. Small contractors have to pay this amount since they are the ones in the front-lines. In fact, many of them themselves put mines under the road at the time of construction, as per arrangement. How is it otherwise possible that a mine is set up without digging a constructed road? In the so-called Maoist areas, the Party asks people to not avail any facilities from the government, which often comes down to avoiding pensions for the homeless, old age pensions, avoiding working in MGNREGA. But once the MGNREGA card is there, money will be allotted, even if someone does not work. This unused fund is ultimately being siphoned off. This money goes to everyone involved in the conflict one way or the other, including journalists. gX: But has anything changed specifically under the last regime? KS: In the last 13-14 years, after the BJP came to power, several new districts were created. This has meant posting of an increased number of government officials. These officials have taken an unofficial policy decision to convert all journalists into contractors or suppliers. In Bastar, 90% of the journalists today are contractors or suppliers. Now the police are also moving with press cards. 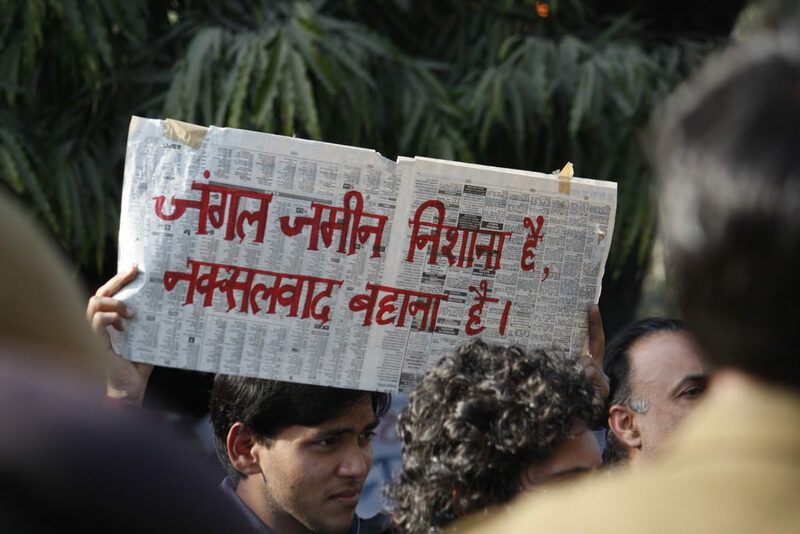 Maoists are also in a dilemma because the last time they killed two journalists, there were huge protests. During Salwa Judum, for the camps that were established, 90% of the suppliers were journalists. I have RTI records of more than 10 journalists who were involved in selling supplies to these camps at rates much higher than the market rates – truckloads of tomatoes were supplied at Rs 172 per kg, simple pens worth Rs 5, were supplied at around Rs 76-77. 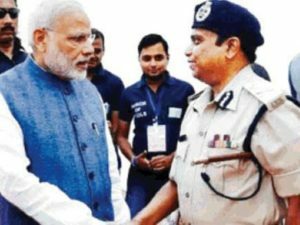 Take for example people like Leeladhar Rathi, the Bureau Chief of HariBhoomi in Sukma, who was accused by even Baliram Kashyap of the BJP, of being corrupt. Another example. There is this place called Jagargunda which is a Maoist stronghold, so rations were sent there with hundreds of CRPF men guarding them. Later it was found that the rations in all the four trucks were rotten to begin with. This became big news, and the Collector had to be transferred. The supplier in this case himself was a journalist, close to Kedar Kashyap of BJP, the Tribal Development and School Education minister in the state. gX: Let’s talk about your own experience as a journalist and the repression you have faced because of your work. KS: In 2010 I was ousted from Rajasthan Patrika. I had been the bureau chief of the newspaper for two years. At that time there was a campaign against Vikram Usendi, then Forest Minister. He supervised the clearance of 5000 hectares of forested adivasi land, and was giving it away to non-adivasis. Rajasthan Patrika started covering the issue, but as soon as the Vidhan Sabha session started, they stopped following this up. I continued reporting on the issue through my blog and other platforms. First the minister’s goons came with lucrative offers. When the offers did not work, they led an attack on my home and broke my computer. I was hospitalized for a few days. Rajasthan Patrika, instead of protecting me as their employee, issued a declaration in writing that I am not their reporter. This is even when I actually had the appointment letter they had issued to me. Anyway, after that we started Bhoomkal Samachar. The journalists who wanted to do journalism honestly came together. Soni Sori also got released around that time. There was an energetic mood in Bastar journalist circles then. During Salwa Judum, the media was completely destroyed by use of threats or money. A lot of money was distributed by the government. This time was when that phase of repression was forced to end, and people started reporting. We reported on some very important issues. KS: Yes, that is when IG Kalluri was sent to Bastar. He applied various methods to prevent any form of reporting. Journalists’ houses were burnt down, they were beaten up, intimidated and arrested. The news on police atrocities was completely stopped. So much fear was instilled in people that they stopped going to the field to investigate or verify the facts. The police started sending emails about arrests and encounters, and the ‘reporters’ would just reproduce them in their columns. During the Congress era at least press meets were held, though journalists were not allowed to speak to the arrested person. During Kalluri’s time they started sending us emails; if you check the news report you will see that everyone is reporting from the same source. ‘News media’ does not bother anymore to visit the field and verify. One of our journalists, Prabhat Singh, who was trying to verify one such case, was sent to jail. He is out now but there is a long list of charges against him. Because of such terror, even till 6-7 months back, no one wanted to go to the field. Recently, however, some have started going again. But the total number of such journalists, across all the seven districts, would not be more than ten. 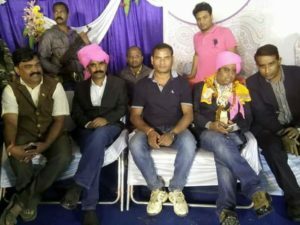 This includes journalists like Devsaran Tiwari of Jagdalpur, Ranjan Das, Mukesh Chhandakar, Rupesh Chhandakar from Bijapur, Bappi Ray from Dantewada, Tameswar Sinha from Kanker, Salim Sheikh, Aman Bhadoria from Sukma. There is a woman journalist Pushpa Rokde, the one who broke the news of the Erasmetta massacre. Of course I might be missing some names right now. People like the above visit sites of fake encounters or police torture whenever they can, but their reports will not be published by their media organisations. Hence they have to put up the news in other platforms from where they can be read. But this can also lead to loss of their jobs any day, like many others before them. Bhoomkal publishes such news, and often times these are circulated only through Facebook. But this sort of news rarely comes to us even if we are from Bastar, because of the iron curtain they have imposed on any news from inside the forest or villages. gX: What do you think is the way out of this then? KS: In 2014, we thought that there ought to be a law ensuring the safety of journalists, if journalism in Bastar is to be protected and practised. However of course we did not want protection from the police, did not want police personnel roaming with us. They were using Agni and Samajik Ekta Manch, etc., to file false cases, like what happened with Malini (Subramanium) or Bela (Bhatia). 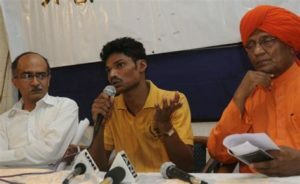 The decision to attack Malini had been already publicly announced. The criminals were seen roaming in public. Same thing happened with Bela. She was attacked, her mobile was stolen. She clearly told the name of the person who stole her mobile. The police said they could not find him. Even as the perpetrator was spotted sitting with IG Kalluri and the SP, the police closed the case in court saying “the criminal could not be found”. Even outside Bastar, in Raigarh where there are no Maoists, the same method has been used on journalists, like Nitin Sinha, Saurav Aggarwal and others, who are reporting on the loot by business houses such as Jindal and Hindalco. 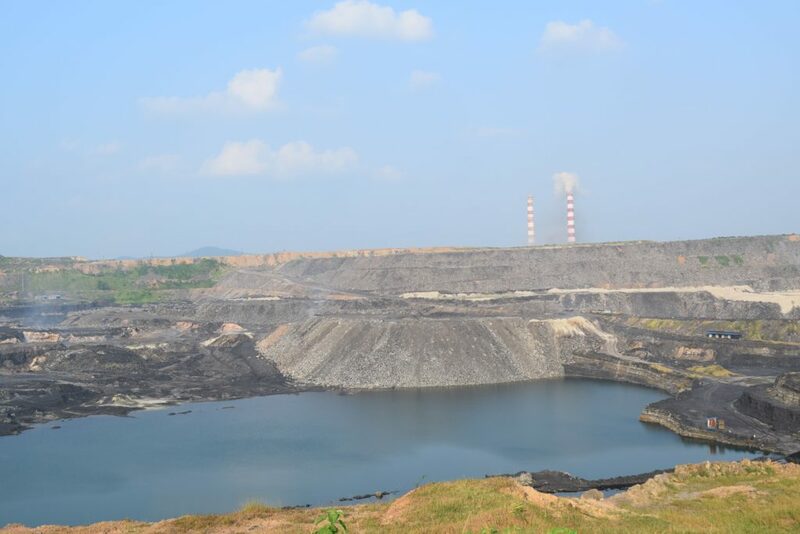 Near Raigarh there is a place called Bhupdevpur where a lot of illegal coal refining takes place. This is being carried out by the son of a former BJP MLA. The Collector obviously cannot do anything against it. But there were 30 different cases filed overnight against the journalists who were reporting. We thought such things should stop, and that there should be some kind of legal protection. KS: Yes. In the beginning, journalists from across the state responded. 500 journalists joined us in Raipur. On 10th October 2014, we placed our demands to implement some measure for safety of journalists and release the journalists who have been jailed. We gave them two months time, until 20th December. Afterwards, we called for a Jail Bharo program, to which people from all over the country came. The Chief Minister appealed for ending the protest, and promised that he would set up a High Level Coordination Committee. We wanted half of the Committee to be composed of news reporters, and the other half could be government officials. We did not want any editor or owner of news organisations to be on the Committee. But when the Committee was formed, there were three editors – Ruchir Garg (Editor of Dainik Bharat), Himanshu Diwvedi (Editor of Hari Bhoomi) – a complete establishment person – and Manikuntala Bose (Editor of Dandkaranya Samachar) – and no news reporters. It was decided that if there is a case against any journalist, it will pass through the Committee. However, till now there has been no meeting since the formation of the Committee. And later we came to know, on the same day that the committee was being formed in presence of the Chief Minister, the Collector had signed orders to book Prabhat Singh (one of the committee members) and Santosh Yadav under the Public Safety Act. gX: Can you talk about your case a bit? However, even after Mr. Kalluri left Bastar, it is not as if the role of police has changed at all. The jails are completely filled and fake encounters continue. Some 50,000 warrants are still not in effect just because there is no more space in the jails. A few days back, more than 800 nurses were arrested for protesting. Around 150 were kept in jail, the rest were kept outside. Legal aid work till 2012 show that 97% of the people arrested were released without any charges framed against them. Most of these people are adivasis. 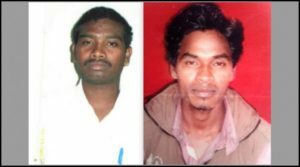 At this rate, how do we believe that people killed in ‘encounters’ are Maoists? If each one of these were to be investigated, what would the results reveal? gX: Coming back to the general situation of journalism, mainstream media and newspapers are not hiring journalists. Moreover, anyway adivasi journalists are silenced, as you were saying; What do you think needs to be done? KS: I am sure that these conditions won’t change anytime soon. If this so-called democracy remains this way, there will be newer ways to kill the adivasi, in order to ensure profits for the corporates. Some of us have been working with young adivasi journalists; the new generation is conscious. The government there is fuming with anger because of this, which is why have filed cases on me. During Mr. Kalluri’s time, I was charged with several non-bailable offenses. I have still not gotten bail but they still have not arrested me. Maybe due to pressures of the upcoming election, they are letting me roam around in the public. Training of journalists has to happen in the middle of this, which is proving to be a difficult task. gX: There are citizen journalism projects like CGNet Swara, that reports from Bastar; do you observe any change? KS: CGNet Swara is reporting on daily issues on Bastar like if there is a disease, a doctor is required, and so on. The government will send a doctor for that one time perhaps if there is enough noise, but then for the next two years it’s back to nothing. There are chances that the village itself won’t be there anymore. Villages from the Raoghat hills are about to be displaced. Has there been any report on this on Swara? If you report that boring of a tube-well has stopped, then you also need to question why did it stop at all? gX: What do you think about the upcoming elections? KS: People want an alternative. Even during the 2013-14 elections, they wanted change, but didn’t have a choice. What should the people do? The Congress itself is divided, and the BJP reaped the benefits in the last elections. But adivasi areas had completely rejected the BJP. In Bastar they won only 4 (out of 12) seats. A new party has been formed by Ajit Jogi — Jogi Congress — materially supported by the BJP. There is a plan to make them contest in 90 seats. AAP is also participating in these elections. Which means Congress vote will be divided there too. BSP also has some presence, but Yogi Congress will probably decide the swing this way or that. gX: What is the voter turnout typically in Bastar like? KS: There has been a scam even with voting in Bastar. But it never came out in public because both the main political parties are involved. Before the 2008 elections, polling booths were removed from the villages without any declaration, and placed at other ‘safer’ locations. Congress and BJP anyway did not want to go to those villages for campaigning, and the people also did not want them to come; the booths were ‘relocated’ in the city, and they conducted ‘voting’ there, silently. Since then, the Election Commission has made this into a norm, officially now declaring that ‘booths are being moved’. And none of the political parties opposed, discussed or debated this move. Villages in Bastar are 10-15 km apart, so each Panchayat covers (a radius of) around 25-30 km. They put one booth there for two such panchayats. For the adivasis, walking 20 km is not a big thing. But why should they take the trouble? Throughout the 5-year-term no one has come to address their issues. And moreover, these booths are placed in armed camps, guarded by the same people who hunt adivasis down on their market days. Another aspect of elections in Bastar are the Bengalis. East Bengali migrant population was historically settled in parts of Bastar-Dandakaranya. These people came here after losing everything – their homes, property, social relationships. They were allotted small pieces of land, and no other resources. As a result, they started looting, acquiring, capturing nearby adivasi villages. They have materially developed over time, through organised agriculture and such, and this has in turn flared up the already existing cultural divide. They are now close to the local administration, and are a big part of the corruption economy. Politically, the important fact is that they are the ones who decide the outcome of the Assembly elections in that part of Bastar. gX: What is the role of the Maoists in this context? KS: We never came across such cases where Maoists cut away the fingers or hands of people who voted. There were times when people themselves said that they wanted to vote, and there was no strict opposition to that from the Maoist Party. 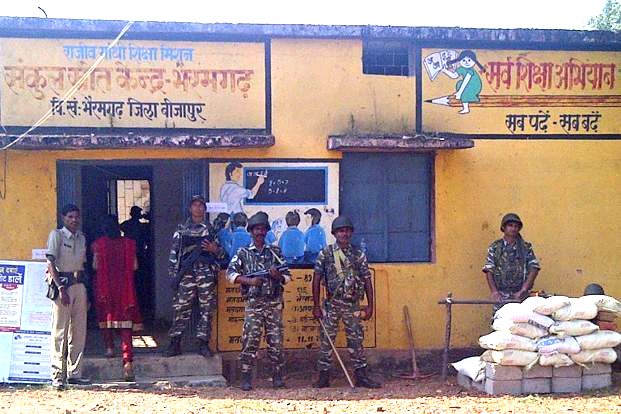 There could be villages in places such as Sukma, Konta and Bijapur where Maoists exercise some control, but if in Kanker people are not voting, then it cannot be said that the low voting percentage is due to the ‘Maoist threat’. gX: On one hand, the Maoists claim to be fighting for Jal-Jangal-Zameen. On the other, we still see use of heavy machineries in some areas of Bastar, we see the Essar pipeline being laid. How do you explain this? KS: The fight for Jal-Jangal-Zameen goes beyond the fight of the Maoists, at least historically. The adivasis of Bastar and Telangana have long histories of resistance. They have been fighting for jal-jangal-zameen from much before either Marx, or Mao. Bhumkal rebellion happened at a time when the Indian urban population and so-called intellectual class did not find it important to oppose the Britishers. They fought when the Marathas came to Bastar as representatives of the British. It’s not like they learned to fight after 1967. Before, they fought with bow and arrows. Maoists have gone with the adivasis tactically. Adivasis did not have any other option either. Neither Congress worked for them, nor did the mainstream Communist parties support their issues honestly. Let me explain what I mean when I say ‘tactically’. No one has ever systematically run any school in adivasi language, nor have any leader addressed them in their own language. You can see the impact of that in today’s journalism, as we have been talking so far. The Maoists, when they came in, learned the local language. They developed the materials on revolution in the adivasi spoken language, they learned their way of life. To come back to your question, I do not understand the Maoist strategy. On one side the Essar pipelines are allowed to be constructed. On the other, they are really an ally of the tribals in the struggle for jal-jangal-zameen. gX: In that case, how do you see the foreseeable future of Bastar? KS: I can say one thing for sure that nothing can stop this process of cultural change that is taking place. In 30 years, I have seen the adivasis in Bastar from being critical of clothes to becoming cloth traders in the Bastar market. In Abujmarh you have asked the villagers to not avail themselves of PDS. There is still a process there through which the villagers get some stuff to the local bazaar and take something back. But in the south there is no such process in place. The south is completely dominated by outside traders; the same PDS rice that would have cost Re. 1 for adivasis, if allowed, is taken by traders from Telengana at Rs. 10 and the Maoists are allowing them to re-enter. Mahua and tamarind are exchanged at these markets by equal weights as rice, whereas both mahua and tamarind market prices are higher than that of rice. So in all this business strategy and conflict economy, the loss is ultimately incurred by the adivasi. Secondly you cannot stop the market this way. Mobile phone is entering these places too, and you cannot keep them away from it. Then there is the issue of migration. The government is making adivasis migrate, either by assaulting them or by creating temptation. People there are not happy, neither with the Maoists nor with the government. They are really worried about their children. The youth of today is migrating from South Bastar. The Government is facilitating and promoting this migration. Of the people who migrated during Salwa Judum, some came back. But when they went out, they worked as daily wage laborers, and saw money and the power of money. In what way can you stop this process and for how long? We talk of democracy but this is not a democracy, and it’s steadily moving towards greater corporatization. When we talk of Jal Jangal Zameen, it cannot just be for the people who are there and now. The resources that were left to us by our ancestors should stay for the future generations, but because of the kind of greed ingrained in us, nothing will be left. It will be similar to what happened in Europe. Workers, peasants and the forest will be completely destroyed. You can possibly delay the process. The Home Secretary of Chattisgarh once told me in 2015 about their dream that, by 2022 there will be dazzling roads through Bastar (jagmag jagmag sadakein rahengi). I told him it won’t happen by 2022. But I know it will happen by 2030-40, if things go on this way. 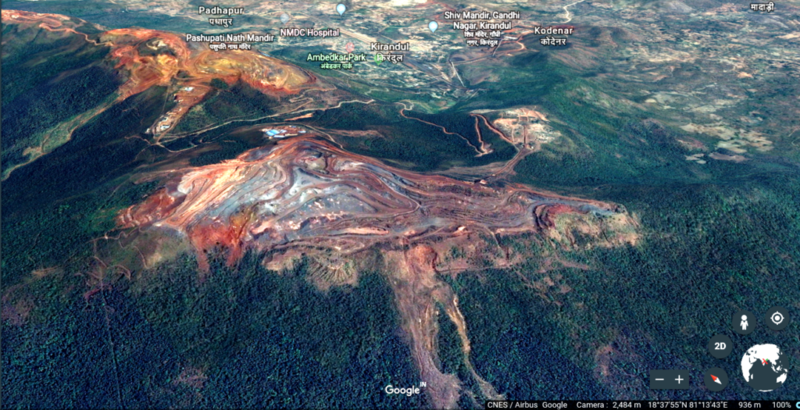 If the mining and railway line plans for the Raoghat hills materialize, that will open the door to Abujhmad, to Bastar and to it’s high grade mineral reserves and forests. In other words, the door to complete destruction of Bastar will be opened.